Browse Mahoromatic Gallery: Recent | Popular. oooo....triple 7's XD Congrats!!! It's not surprising...your site rocks XD And this piece of work rocks too :D !!! She's really cute! 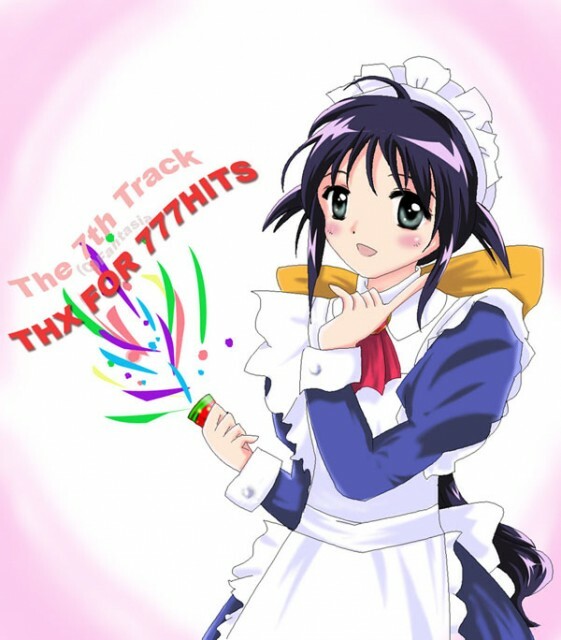 Congrats on 777 hits! Good Job man, am proud of ya, hehe lol :D.
Don't u guys notice that her hand under her face it's like i c 5 long fingers, or s t her thumb!?!?!?!?! *hits self on head for not commenting earlier* I couldn't hang around MT for too long ^^; but this is a really cute CG ^^ Nice work!